Have you struggled with money in the past? Are you currently struggling to manage your money correctly? Below are the BEST money saving charts I could find to help you take control of your finances once and for all. You can also check out the BEST budgeting templates if you are wanting to start budgeting your money. 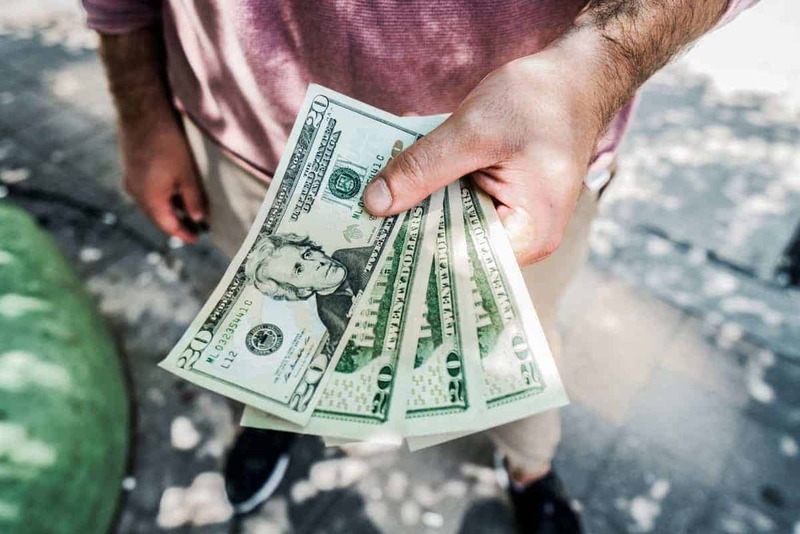 Managing your money and understanding how to save more money can seem very overwhelming when you are stuck in debt, living paycheck to paycheck, or even just spending money like it’s growing on trees. Trust me we have been there too! This is the year YOU are going to take complete control of your hard-earned money! It’s time to reduce your stress, destroy your debt, and start saving for your future. Swing by and join our private Facebook group Live Life Better. It’s where we talk everything about personal finance and help one another reach financial freedom. Wow! Let’s start this off right with an AMAZING money saving chart that will help you save $400 per month. Can you imagine what you could do with an extra $400 a month? The best part is these money saving tips are very doable and easy to follow. Creating a budget can seem difficult and time-consuming. Well, this how to budget money saving chart is here to help. A super simple and effective way to create your own DIY budget template. Learn why having a budget is so important here. Sticking with the budget theme this chart is great for visually showing you where your money should be going. 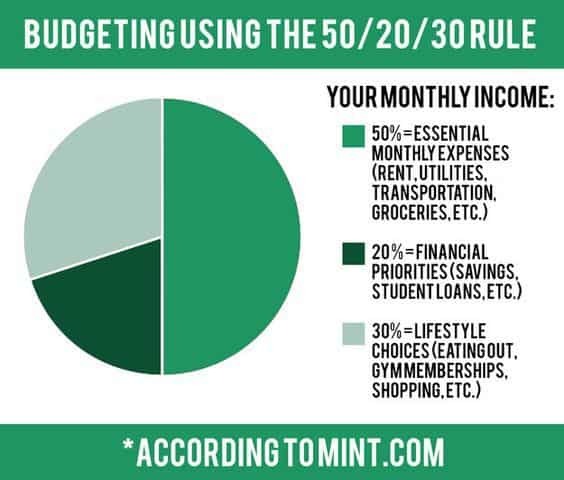 Mint is an incredible tool to use to start budgeting online and taking control of your finances. This is as simple as it gets! Knowing when to make certain purchases throughout the year can save you a TON of money. This cheat sheet is perfect to save for later and know when you can get the best deals on certain items throughout the year. 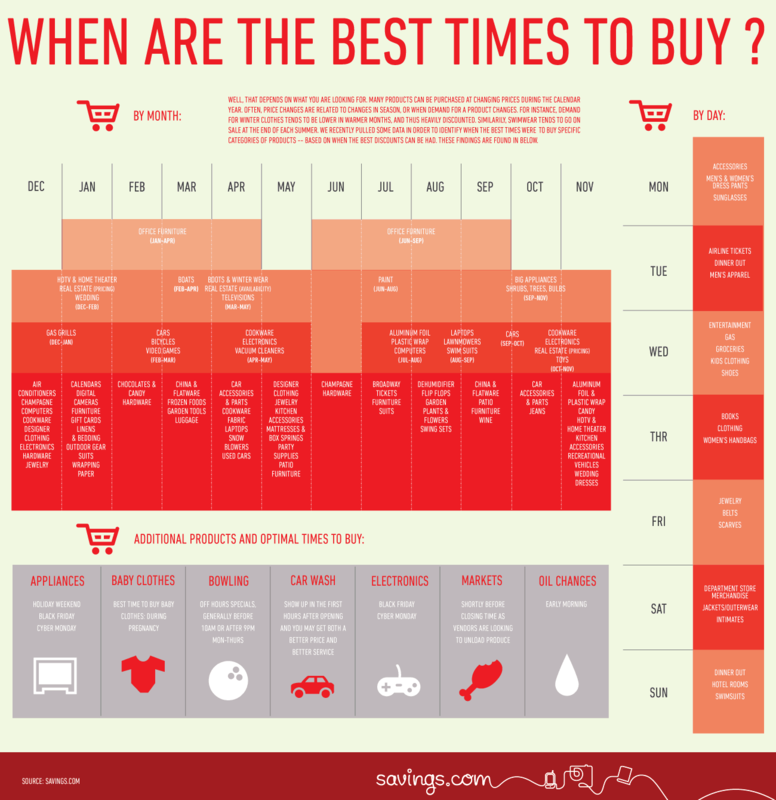 This money saving chart is perfect for seeing the big picture on when to buy certain items. This chart even breaks it down by day, something I have never seen before. Happy shopping! Everyone makes money mistakes, including us! It’s important to understand where your money is going and how you can improve your spending habits. The only way to reach your financial goals is controlling your money. Save your health and your bank account by cutting out tobacco & alcohol for a total of $900 in savings. Frugal people are notorious for always finding the best value in every purchase and decision they make. One of the simplest ways to save more money is live a more frugal lifestyle. These frugal living habits are great! For your own sanity stop having a pessimistic mindset about money. Turn your negative thoughts into positive motivating thoughts and watch your financial life come together. One thing to always remember is God will provide. Have faith in our Lord and let him work his wonders. Just graduated from college and want to get a better handle on your adult life? The first few years after college are critical in setting yourself up for financial success. It’s time to consider cost of living, opportunity cost, create a budget, and start making goals for your future. This money saving chart was a little mind-blowing. Did you know that your electronic devices you leave plugged in are still drawing power and costing you money? This power draw is called phantom energy. Be conscious of some of the electronics you keep plugged in and consider unplugging them to save money. One of the biggest expenses of owning a home are the utilities. We live in upstate New York and the winters are killer on our gas and electric bill. 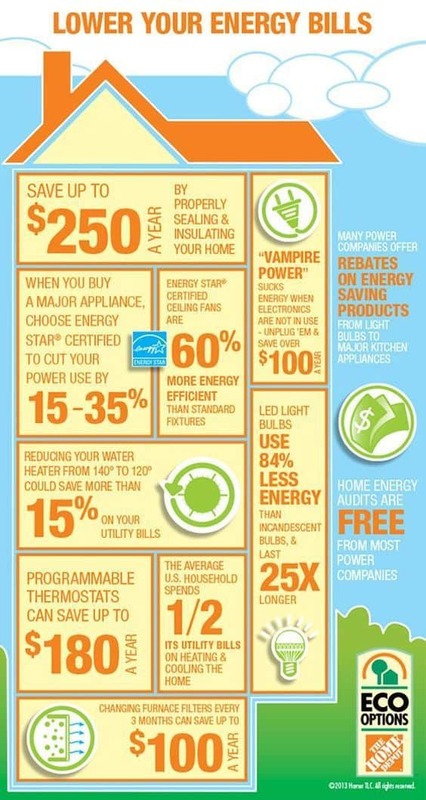 Some simple energy saving hacks can help you save up to $250 per year. This chart made me think of all the times growing up that I spilled spaghetti sauce on a white shirt, the worst! Before you throw out your stained clothing, take some time and try to get the stain out. 99% of the time it’s possible. This chart is amazing at helping you find the right products to get the job done. We recently started using our freezer WAY more in our day to day life. When you know you are not going to use some of your groceries before they go bad, freeze them. Food waste is a great place to improve on and start saving money. 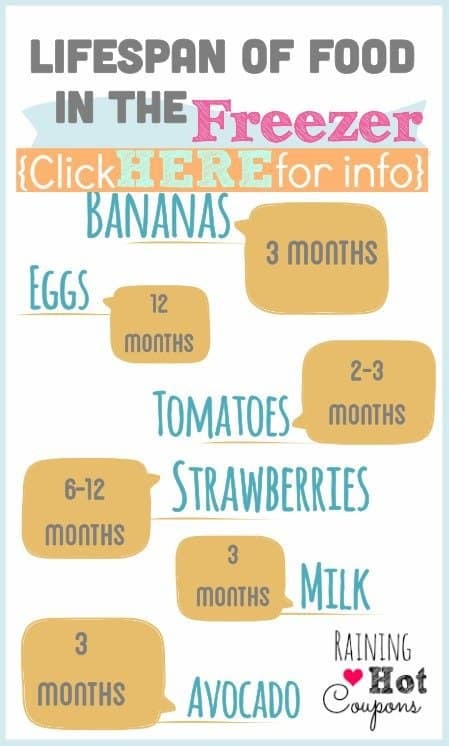 We learned a bunch from this money saving chart! From fruits, vegetables, proteins, breads, and more learn exactly where you should be storing them to give them the longest lifespan. Getting the most out of your food budget is a great way to save money on a monthly basis. Are you a big-time traveler? This chart is great for seeing the most cost-effective ways to travel and stay at different locations. Looks like Goa for the win! Great chart to visually see how to travel cheaply. The best time to purchase flights is on Tuesdays at 3 pm, awesome! This money saving chart even goes into car maintenance to make sure your vehicle is running the most fuel efficient. Money saving challenges are great! One of the most important aspects of getting your finances in order this year is funding your emergency fund. An emergency fund will allow you to live a little more stress-free knowing you have a backup plan when a car repair, funeral, or surgery show up in your life. If your goal is to save more money and control your finances this year these money saving charts will certainly help! Take control of your life and start living the stress-free life you have always dreamed off. Start today and follow through, this is your year! Be sure to check out our mega list of 100+ Brilliant Ways To Save Money if you want even more ideas. Love all of these infographics! I’ve saved a ton of money on my clothing budget by shopping for summer stuff during the winter and vice versa. Now that’s a savvy move. Nothing like huge savings in the offseason!